This January, we're turning the spotlight on reference books! 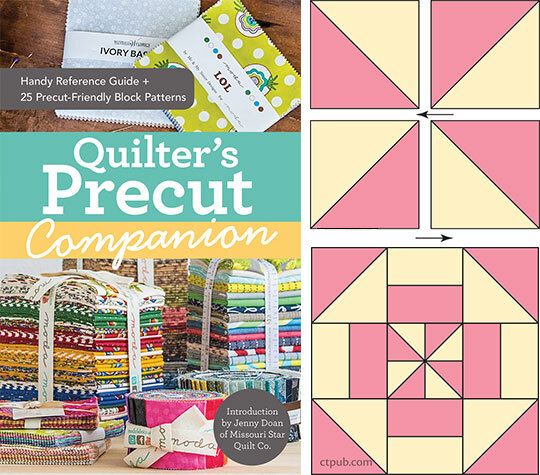 These are classic, timeless titles that we turn to again and again for the answers to all our quilting, sewing, and embroidery questions. Today we'll share some tips and tricks from our favorite reference titles. Plus, we're offering 25% off all the featured titles until Saturday! Scroll down to the bottom of this post for the 25% off promo code. 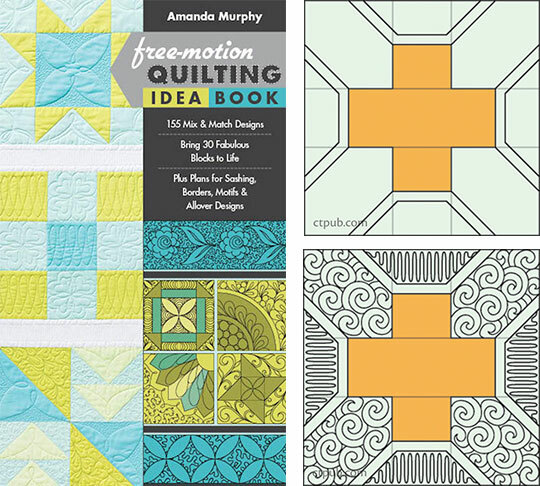 Design exciting new quilts by mixing various blocks in different combinations. For the most successful designs, combine 2-, 4-, and 8-grid blocks; 3-, 6-, and 9-grid blocks; or 2- and 6- grid blocks. The seams in these similar grids line up nicely both visually and for easy stitching. 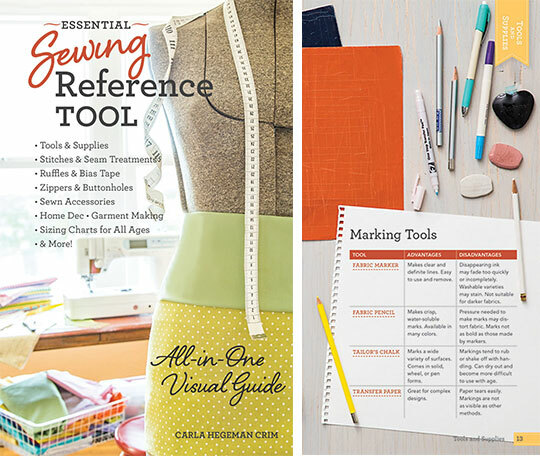 Essential Sewing Reference Tool: All-in-One Visual Guide - Tools & Supplies - Stitches & Seam Treatments - Ruffles & Bias Tape - Zippers & Buttonholes - Sewn Accessories - Home Dec - Garment Making - Sizing Charts for All Ages - & More! A flat-felled seam can be started with the wrong sides of the fabric together, so that the folds end up on the right side, adding detail to the garment. Keep needles dry to prevent corrosion. Use the emery sand found in the strawberry of a tomato pincushion to polish and sharpen those needles without plating. High-quality needles plated with platinum and titanium last longer, but they should not be sharpened with emery because it scratches the plating. Discard any bent or defective needles. 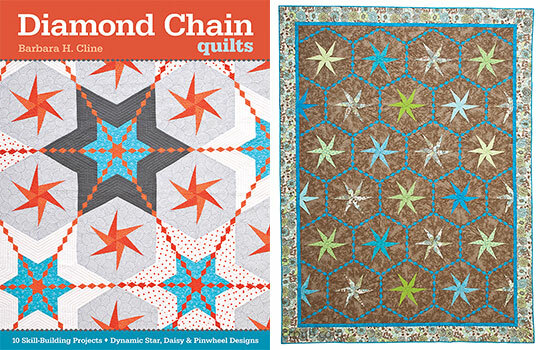 Buying fat quarter bundles can be a quick way to get small pieces of a range of coordinating fabrics. Keep in mind that any mistakes will show more on a solid, like a muslin, so if that is going to bother you, try using blenders or subtle prints instead. Remember, you are creating a texture, so try not to be overly concerned with individual lines of stitching! The 2 1/2 ̋ strips are perfect for creating a scrappy binding. Determine the length you need, sew the ends together at an angle, and bind. 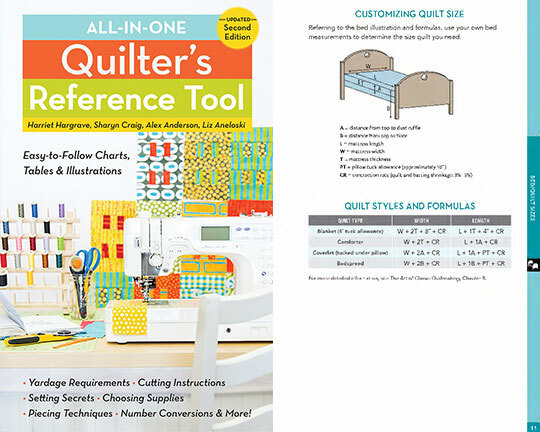 All-in-One Quilter's Reference Tool, Updated Second Edition: Easy-to-Follow Charts, Tables & Illustrations - Yardage Requirements - Cutting Instructions - Setting Secrets - Choosing Supplies - Piecing Techniques - Number Conversions - & More! 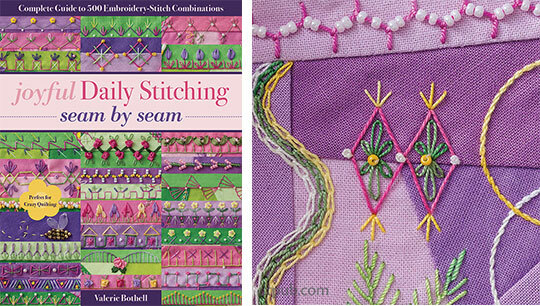 • Lengthen your stitch slightly. • Stitch slowly to control the fabric. 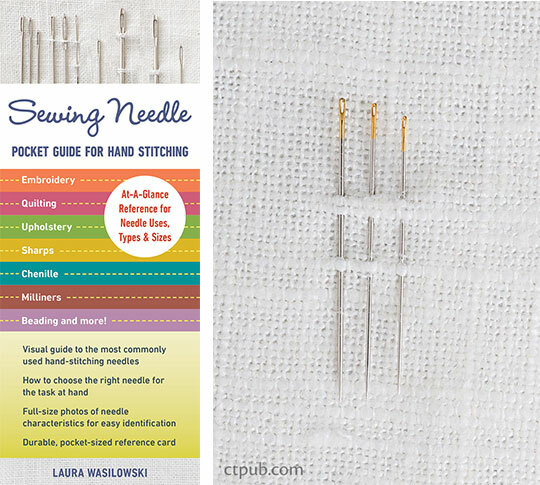 • Use the needle-down feature on your sewing machine (if available). • Keep the fabric edges together. • Sew an accurate 1/4" seam allowance. 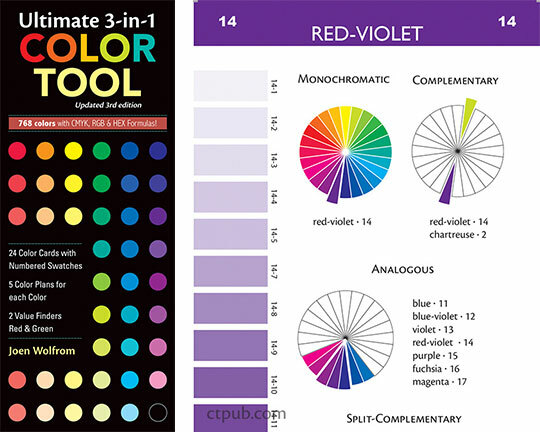 Tints are hues created when white is added to a pure color. They range from blush white to a hue slightly lighter than the pure color. Tints include apricot, pink, lavender, mint green, robin’s egg blue, and light blue. 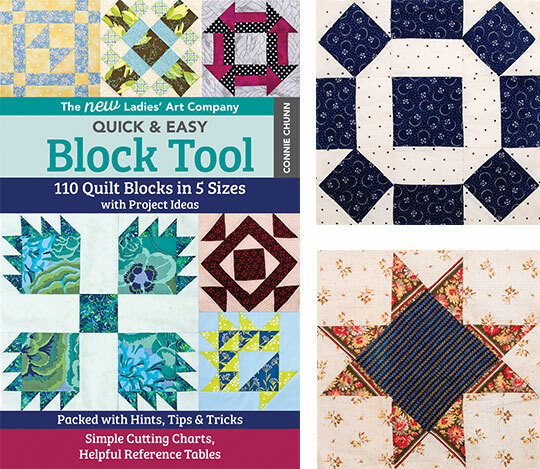 To make the crazy quilt block more interesting, start cutting different fabric shapes other than the rectangular shape you started with. If you tend to trim the plastic template when you cut the fabric, try laying a ruler against the template edge (not on top of the template); then remove the template and cut. Another option is to use a chalk pencil and draw around the template. Cut more fabric than you will need. The rule of thumb is 2 ̋ extra all around. 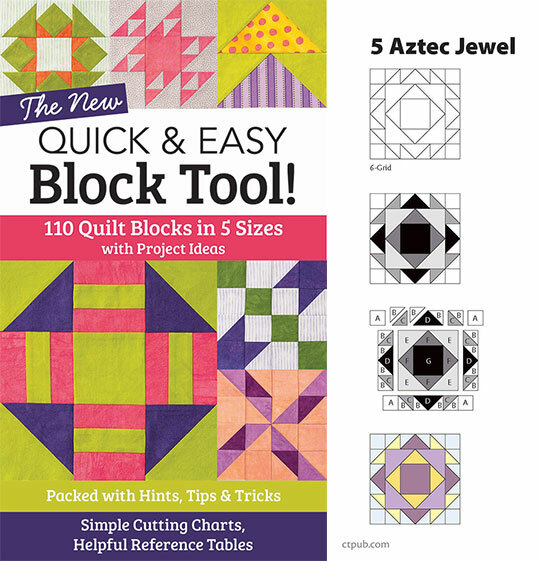 Tip on creating new blocks from The New Quick & Easy Block Tool! Create more complex blocks by repeating and rearranging simpler blocks in groups of four or nine. Experiment to your heart’s content! You can get 25% off all these amazing books with the promo code r25. Promotion ends 2/2 at 11:59 PM PST.